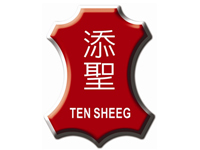 Ten Sheeg Machinery Co., Ltd. has established on 1975.Our challenges are keeping on "IMPROVEMENT" and "INOVATION". We are always searching and discovering a better structure of machine and new technology to process rubber, plastic, and etc...Foam. We are more professional and have more experience to make high quality machine for processing rubber, plastic, and foam. Due to our hard work and good after service, we earned very good reputation all over the world from our customers. That’s why; we are always one step ahead of another company. Since we work hard and have support from our customer, we extended and moved our factory and office to a new location on year 1999.On 2000, ISO 9001 approved by SGS, and then, CE approved(SM-690 serial) by SGS on 2004.Through ISO and CE, we encourage our employees to improve the product’s quality and discovery more new technology and skill. Due to our good stuffs and good management, we know we can provide you the best products and services. Your satisfaction and compliments are the aim of our purpose, and your supports are the motivation for us. We hope we can co-operate with you in the near future. Manufacturer of raw material cooling machines, refrigerating rubber cooling machines, water cooling automatic slicing machinery, raw material mixing machines, sheet splitting machines, bandknife splitting & loop splitting machines, thermoelectric machines, thermoelectric automatic cutting edge & conjunction machinery, thermoelectric EVA & PE building up laminating machines, strip cutting machines, square board cutting machines, shape splitting machines, grinding machinery, raw material cutting machinery, laminating machines, EVA palletizing line, recycling machinery, second PE foaming production line, rubber sheet foaming equipments, EVA foaming equipments.